Stretching across 10,582 square kilometres of the Altiplano, Salar de Uyuni is the world’s largest salt flat. Its otherworldly beauty and surreal nature have made it a hugely popular stop for backpackers and tourists. This incredible Bolivian salt flat is most famous for its jaw-dropping ‘mirror effect’ and crazy perspective photos. The astonishing mirror effect can be seen on a still day when a thin layer of water covering the salt transforms the salt flat into ‘The World’s Largest Mirror’ reflecting the sky. Located 8 hours south of La Paz, Salar de Uyuni is accessible via overnight bus, plane or train. Tours of Salar de Uyuni, also known as the Bolivian Salt Flats and the surrounding region are becoming increasingly popular with seasoned and novice travellers alike. How to get to Salar de Uyuni? How to take the ultimate Salar photo? Overnight bed buses from La Paz usually take 8 hours and arrive in Uyuni early in the morning, allowing those on the bus to do a tour of the salar that day. 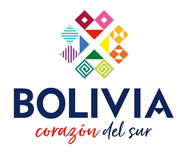 Bolivia Hop has been officially voted Bolivia’s best bus company in 2016 & 2017 and it is the best way to get to and from La Paz. However, unfortunately, they still do not operate from La Paz to Uyuni so it is recommended to travel with Todo Turismo. Despite being more expensive, they are significantly more comfortable and recently acquired new bed buses to ensure you arrive to the salt flats well rested and ready for a long day of exploring. Crossing borders and changing buses can cause this route to be a logistical nightmare for those who insist on traveling by bus from San Pedro de Atacama to Uyuni. It isn’t worth doing this route by bus but those who do it usually travel with Cruz del Norte. Instead, it is strongly recommended to take the 3 or 4 day tour from San Pedro de Atacama. The 3 day tour starts in San Pedro and finishes in Uyuni while the 4 day tour starts and finishes in San Pedro, making it the ideal option for those who wish to return to Chile. The easiest way to get to Salar de Uyuni from Peru is to take the Peru Hop bus from one of 7 locations across the country to La Paz, from where you will get a bus as discussed above. Crossing the border is made simple by the bilingual guide on board and once you get through, they make sure to wait until everyone is on board before departing. There are other options for this route but many of them have suspect safety records and a history of leaving some passengers at the border. Alternatively, you can fly to Uyuni from La Paz. The flight only takes one hour but it is significantly more expensive at around $130 round-trip. For those who don’t have much time, one day tours are a fantastic way to see the flats. A one-day tour of Salar de Uyuni in 4×4 jeeps is the shortest tour available. These tours are set up to accommodate for those arriving from and departing to other places such as La Paz on the same day. Starting at around 10am and finishing at around 5pm in Uyuni, it allows enough time for those arriving on overnight buses to get breakfast and enough time at the end to catch an overnight bus to another destination. One day tours include a visit to the intriguing train cemetery, followed by a stop in the salt production site known as Colchani, where you will learn about the process and see your first salt hotel. A trip to Isla Incahuasi is also included, where you will discover giant cacti, interesting rock formations and a stunning 360-degree view of the tremendous salt flats over lunch. The tour ends in magnificent fashion as the sun magically sets over the flats, making for the perfect photo to remember this extraordinary experience. 3-day tours of Salar de Uyuni in 4×4 jeeps are the most popular tour type. Day one of this tour is the same as the one-day tour – departing at the same time and visiting the same places. The first night is usually spent in one of the famous salt hotels or hostels in which almost everything from the bed to the ceilings is constructed from salt blocks. Days two and three begin bright and early with breakfast at 7am and 5am respectively, followed by long days of exploring. Across these two days, you will discover the colored Andean lagoons, the Polques thermal waters, flocks of flamingos, hot geysers, crazy rock formations and painted volcanoes. The second night is spent in very basic accommodation in the middle of the salar, giving you the opportunity to truly immerse yourself in this rugged part of the world. You will find yourself blown away by the mesmerising stars in one of the most unspoilt places on Earth. The 3-day tours fit in everything Salar de Uyuni has to offer. No attractions are missed and you’ll still be left with plenty of time to take an abundance of diverse and beautiful photos. There is also the option to do 3-day tours starting in San Pedro de Atacama and ending in Uyuni. 4-day tours start and finish in San Pedro de Atacama. The itinerary is the exact same as the 3-day tours except instead of finishing in Uyuni on the third day, you’ll spend that evening making your way back to San Pedro de Atacama. The third night is spent in a basic hostel in Villa Mar Village and you will wake up at 4.30 am to continue your journey, finally arriving back at 2 pm. Visiting Salar de Uyuni is an incredible experience any time of the year. It is hard to say which season is better as both offer their own unique advantages and attractions. The best time to go depends on the experience you’re looking for. Those looking to see the mirror effect should visit during the rainy season which runs from November to April. This marvellous effect is most likely to occur during these months as a layer of rain is needed on top of the salt flat to formulate the unimaginable feeling of walking on the sky that is created by this effect. However, the rainy season does bring its difficulties as excessive rain melts the salt and can cause parts of the flat to become inaccessible. Tours are forced to divert away from the popular Isla Incahuasi for most of the rainy season. On the other hand, the dry season which runs from May to November brings its own spectacular wonders and advantages. The sun shining down on the stunning octagonal salt formations surrounded by bubbling cauldron of the geysers and the gold and yellow shrubs of Canapa Lagoon creates a sight that is like something out of another planet. During this season the ground hardens and tours can access all parts of the salt flat. It is during this season that crazy perspective photos are taken. The dry weather, clear skies and endless horizon combine to create the ultimate Salar de Uyuni photo. If you are in a position where you have the flexibility to decide when to go, it comes down to personal preference. You must decide whether you want to experience the mirror effect during the rainy season with some restrictions to other parts of the salar or whether you want to experience a sea of white hexagon-shaped terrain and the opportunity to take crazy perspective photos during the dry season. The photos will come thick and fast of this stunning landscape. You will not want to miss a second of this so bring your finest photography equipment and be prepared in the event of your camera running out of battery or memory. As discussed in the ‘How to Take the Ultimate Salar photo’ section, props are key to interesting and exciting perspective photos. Toy animals, saucepans, bottles and even tiny items such as rings can all be used in creative ways for intriguing photos. You will not come across many ATMs (and the ones you do may not even have cash in them!) so bring Bolivianos for small expenses such as food, drink and tipping drivers. Some of the bathroom floors are not pleasant places to be walking around barefoot. Flip flops are needed for bathroom journeys and also for walking around the salar if it has a layer of water on it. Avoid paying for overpriced bottles of water on the salt flat by bringing your own. Snacks will also be needed for nibbling on between meals if you get hungry. Avoid dry, chapped lips from the salt by bringing some lip balm. An item that is often overlooked by people who come here but one that is essential for when you are sweating from the sun beating down or when you need to dry off after a dip in the hot springs. You will come across plenty of wildlife in its natural habitat such as flamingos, llamas and vicuñas. Having binoculars will allow you to watch them behaving naturally from a distance. Dust is rampant around the flats and some toilets are without a sink. Your hands will get dirty very quickly here! There is huge exposure to the sun here. Don’t try to be the “brave” one who doesn’t wear sunscreen. The huge white reflective surface also emphasises the effect of the sun, causing it to get really bright during the day. With night-time temperatures dropping as low as -20 C and many hostels not having central heating, a trip to Salar de Uyuni is unbearable if you have not packed accordingly. Warm clothes, including hiking boots, a scarf, warm socks, gloves, a blanket, a thermal shirt and a winter coat are essential. Electricity isn’t available in many places across the salar so a head torch can be very useful. Bathroom runs in the middle of the night without any light source are not enjoyable! First and foremost, you can never take too many photos. It can be hard to distinguish which shots are good at the time because the glare of the sun makes it difficult to see the camera screen. Therefore, take lots and lots and lots of photos. You can always delete some when you’re home but you won’t get the chance again to take more. Take your photos somewhere with no cars or people in sight so that there is nothing but you, your props and the stark landscape in the photos. Unless you have unbelievably steady hands, getting a good photo while holding the camera is next to impossible. Rest the camera on the ground and lie on your stomach for a better, in-focus shot. If you’re trying to be in the distant part of the photo (that makes objects appear smaller), be careful not to go too far back as the farther you go, the harder it is to keep everything in focus. Bring plenty of small fun props such as toy animals, mini vehicles, bottles, saucepans and anything else you can think of that could be used for a funny and alternative photo. Finally, plan out the photos you want to take in advance of your trip. It’s never easy to think of the perfect shot on the spot and you don’t want to go home regretting not taking a photo that only came to your mind after you leave. Look at other people’s creative perspective photos on Google for some inspiration. Uyuni salt flats are at an elevation of 12,000 feet (3,660 meters) above sea level, meaning altitude sickness is quite common among visitors. To avoid this, it is advisable to give yourself a few days to acclimatize and stay well hydrated. If you are affected by altitude sickness local advice is to chew some coca leaves as they are seen as an alleviant of mild altitude sickness symptoms. Altitude sickness pills are also available over the counter in Peru and Bolivia for just a few dollars. Although days are warm, be prepared for chilly nights as temperatures in Winter can plummet as low as -20C sometimes. This is a very remote location so don’t expect to pick up internet connection in most places. Salar de Uyuni is one of the harshest environments for vehicles on the planet, meaning that there can occasionally be unavoidable issues with the vehicles. However, in this event, there is no need to worry as the drivers are used to breakdowns and are pretty adept at fixing their vehicles. They are always willing to help each other out and it is very rare that you are stuck for long so be patient and enjoy your surroundings. As with all tours, pick your tour operator carefully. There have been occasional issues with tour drivers drinking alcohol while driving 4×4 jeeps full of visitors and causing some nasty crashes. FindLocalTrips.com is the best place to compare safe and reliable local tour operators. Anyone who has ever been to the Uyuni salt flats will tell you that they are a once-in-a-lifetime experience and a MUST for anyone traveling through South America. Most tours depart from Uyuni which is mainly accessible via La Paz but also via the rest of Bolivia and Peru. For those coming from Chile, it is advisable to take the tour from San Pedro de Atacama. It is strongly recommended to book Salt Flat Tours in advance and only book with reputable companies (those with good reviews online or who allow you to book and pay online). Use Peru Hop and/or Bolivia Hop to get to/from La Paz, Todo Turismo to get to/from Uyuni and FindLocalTrips.com to compare local tour operators and book directly with them.